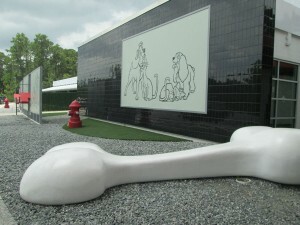 The exterior of Best Friends Pet Resort has its own visual whimsy. When my family vacations at Walt Disney World, we enjoy staying on property in quality accommodations. So when it came time to find a place for our cat to stay while we went on vacation, we decided to try Best Friends Pet Care at Walt Disney World. Located across the street from Port Orleans Riverside, Best Friends is more than just a typical kennel. 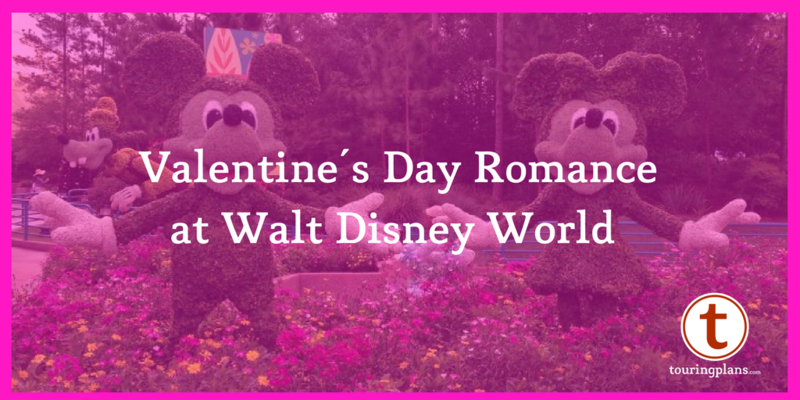 Even driving by the outside, its Lady and the Tramp-themed decorations let you know that this is something special for your furry (or not so furry) friends. The majority of animals staying at Best Friends are dogs, but cats, birds, and even “pocket pets” (such as lizards, guinea pigs, chinchillas, and more) are welcome. Different animals are kept in different locations to minimize stress. For dogs, there are a variety of boarding options: Indoor boarding, indoor/outdoor boarding, a vacation villa (including playgroup time, a flat screen TV, and a turndown biscuit), and VIP luxury suites (including two playgroup times, a flat screen TV, webcam, a bedtime story, and a bath). In addition, there are a la carte services available including an ice cream break, a holiday meal, cuddle time, walk and explore time, and more. Prices for boarding range from $39 through $89 per day. In addition, Best Friends also offer day camp for dogs at $27 for a full day, with packages available for multiple daytime visits. Grooming services (shampoo and cut, flea treatments, skin care, and even pedicures) are also available. 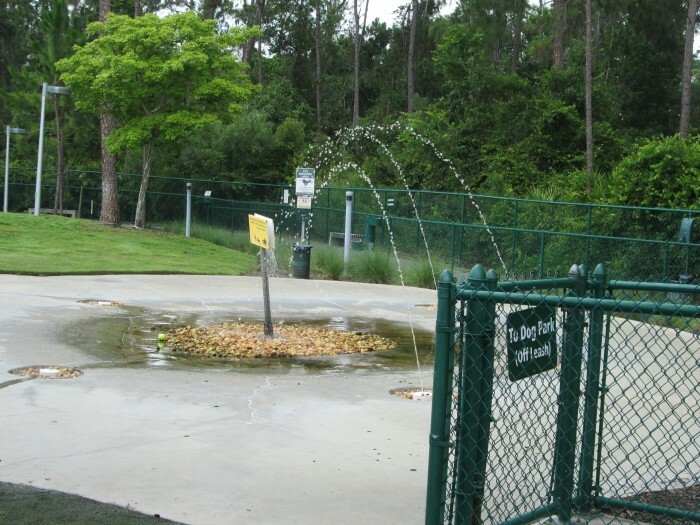 If you want to enjoy some time with your dog during your vacation, registered pooches and their owners can enjoy the Dog Park on site. The 25,000 square foot outdoor area includes a fountain, a walking trail, and plenty of play space. If you want to spoil your pet even more, there is also an extensive store with a variety of unique pet toys available. 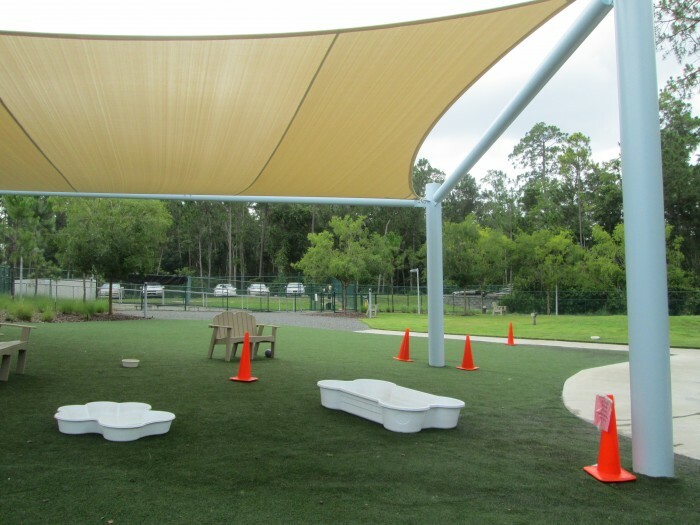 The extensive outdoor dog park space is an inviting play area for pets and their families. For a hot day, Best Friends Pet Resort offers an outdoor splash area for dogs. 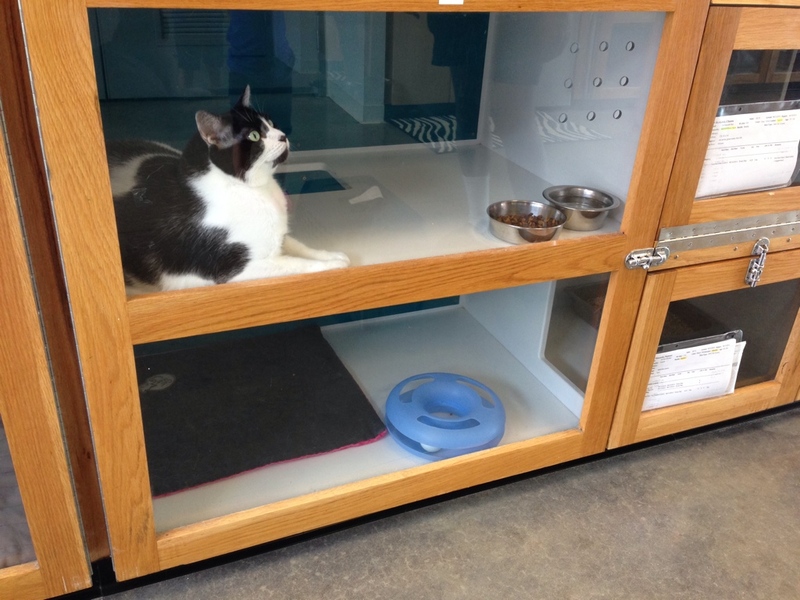 For cats, two- and four-level condo accommodations are available in Kitty City, ranging in price from $26 to $40. Cat daycare is also available at a reduced rate. Just like the dogs have special a la carte options, the kitties are also have a la carte options available. They include playtime, cookies and milk, tuna on a Ritz, and more. On our most recent visit, when we arrived (around 9 AM), the lobby was packed with dogs of a variety of sizes, from a Yorkiepoo to a Great Dane. To minimize the stress on our cat, we were quickly brought back to Kitty City to get our cat, Figment, into his kitty condo. We opted for a two-level condo, which also has a separate compartment for the litter box, and it was enough room for our eighteen-pound cat. We were able to leave our carrier there, so that was one less thing that we had to worry about. Once Figment was settled, we went back to the lobby and finished the check-in process. Food is provided, although you are welcome to bring your own from home. 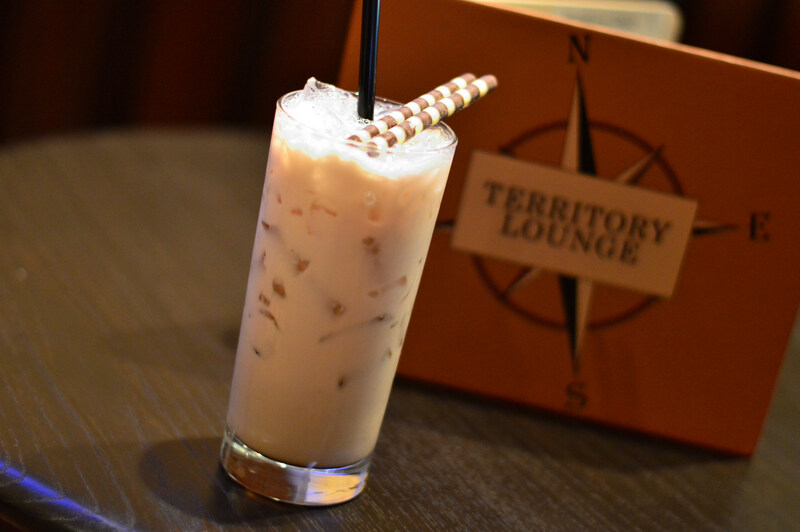 You can also bring treats or purchase treats a la carte. Bedding is also provided, and they ask that you do not bring your own bedding or pillows, although you can leave some toys with your pet. Dogs must be on leash or in a carrier when they arrive and leave. For animals with medical needs, Best Friends will give oral medications, but you will have to stop by if your animal needs medicine by injection. The day before Figment was set to check out, we got an e-mail with a photo of him enjoying his stay. When we picked him up, we received a report card detailing his behavior during the stay. 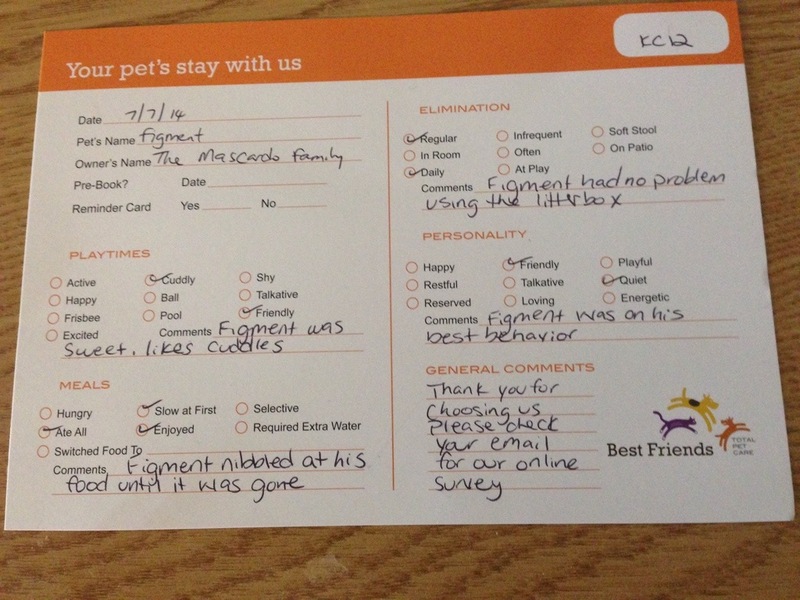 A report card at the end of your stay lets you know what your pet’s experience was like. Discounts are available if you are staying on property at a Walt Disney World resort hotel, or if you are an annual passholder or DVC member. Best Friends is open seven days a week from one hour before the earliest park opening to one hour after the last park closing (including Extra Magic Hours). You must bring proof of vaccination (rabies, DHPP, and bordetella for dogs/rabies and FVRCP for cats), and a flea check will be done at check-in. Also, payment for the stay is due at time of arrival. For more information, to view live web cam footage of the VIP suites and play areas, or to book online, visit wdw.bestfriendspetcare.com. Figment the cat relaxes in his Kitty City condo. ← TouringPlans Everywhere – I’m Going to Tokyo Disneyland! Nice primer. We live only an hour away and we usually have someone look in on our cat when we’re away. We have a big family 10 day vacation in December, staying at Saratoga Springs, and thought we would use Best Friends for this stay. This was informative. Thank you. Glad it was helpful for you. Before we took our cat there, I had asked around to see what people had to say about it, and didn’t find many people who even knew about it. Enjoy the big family vacation! My parent’s love this place. They said it was the best kennel/ doggy day care they have ever used. They were staying in the campground- RVs are the only accommodation on Disney property where dogs are allowed. They’d drop puppy off in the morning and pick her up at night- she was exhausted. I saw a LOT of people bringing dogs in for day camp, including a lot of cast members. Looking at the play facilities they have, I have no doubt that the pooches play until they can’t play anymore. It really depends on the cat — for my cat, he’s older and at 18 pounds, he doesn’t do much moving around, so we even went with the two-level condo instead of the four-level condo. What he does need is seeing and hearing people around, so this is a better option for us than having a pet sitter come to our home once a day to take care of his food/water/litter box and leave him alone for the other 23 hours a day. We did opt to pay for extra play/cuddle time every day so that he could enjoy being on someone’s lap and told how amazingly wonderful a cat he is. For a more active cat, for a cat that doesn’t care about human interaction as much, or for a pet with high anxiety about being out of unfamiliar surroundings, having a pet sitter come in at home might be a better option. Turn down service with a biscuit, flat screen tv, bath, bedtime story and cuddle time for 89 a night. Do they take humans?